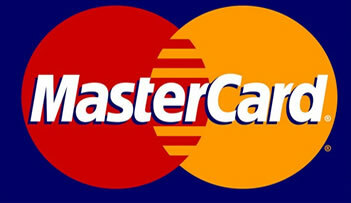 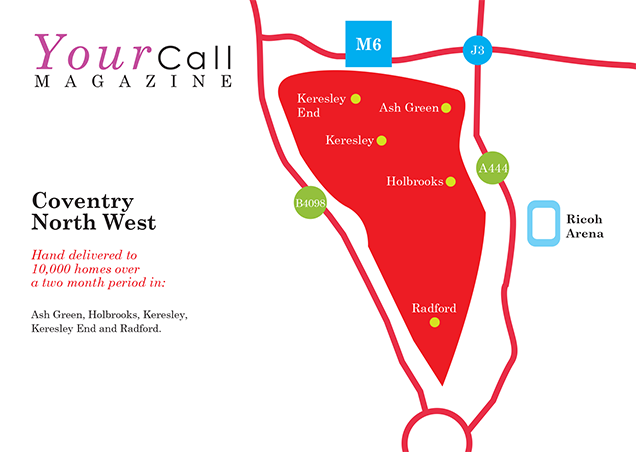 Your Call Magazine covers 10,000 selected homes in West Coventry. 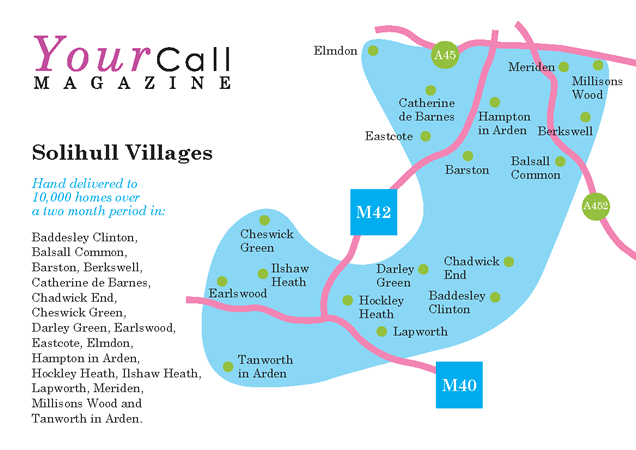 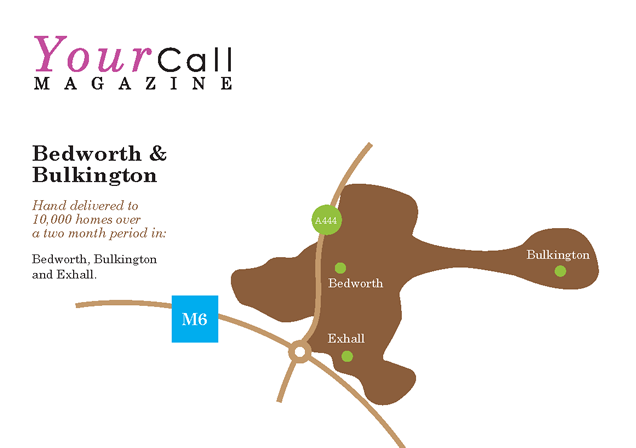 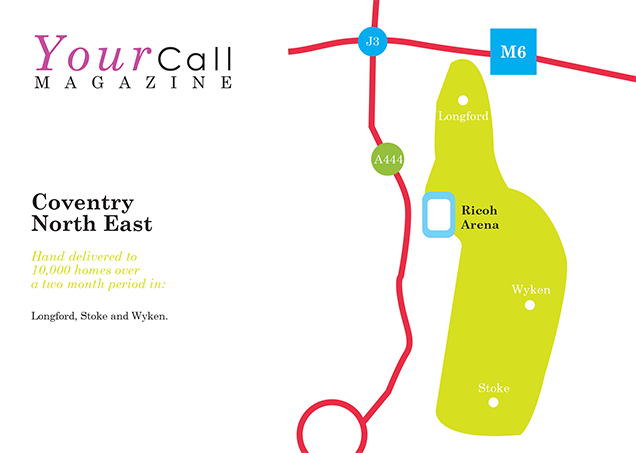 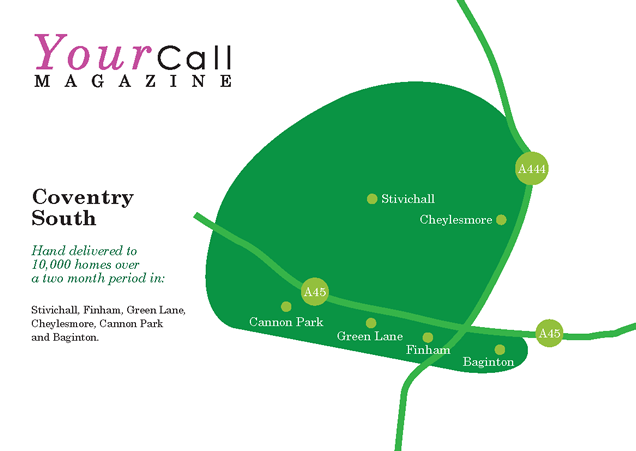 Your Call Magazine covers 10,000 selected homes in East Coventry & surrounding villages. 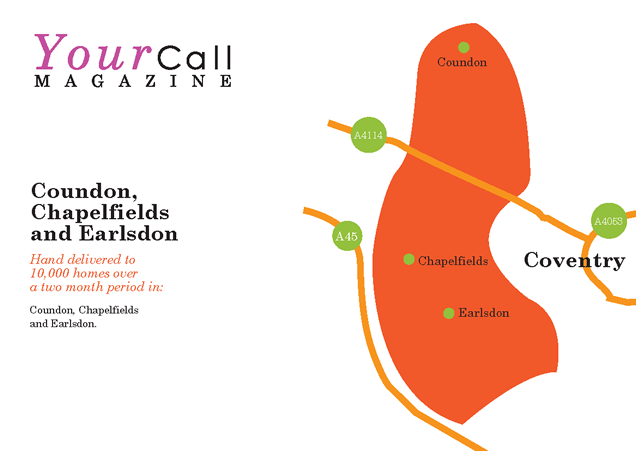 Your Call Magazine covers 10,000 selected homes in Coundon, Chapelfields and Earlsdon. 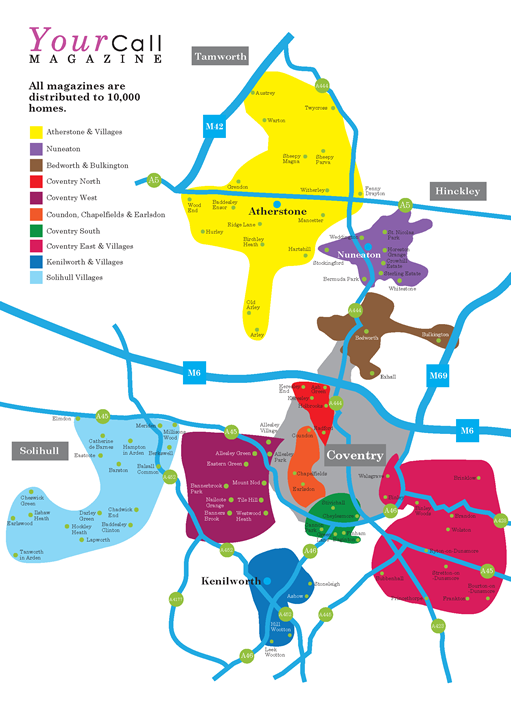 Your Call Magazine covers 10,000 selected homes in North West Coventry. 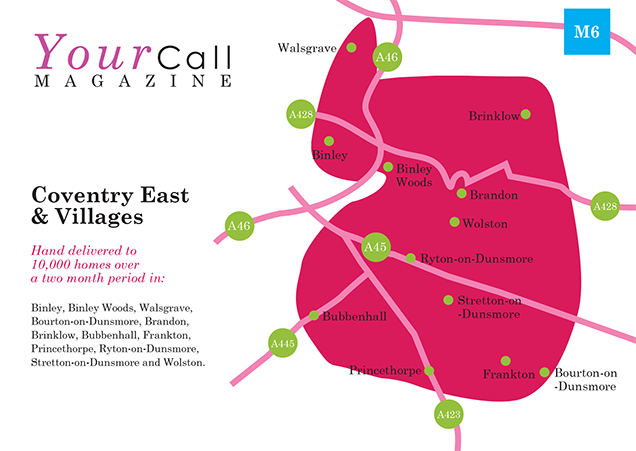 Your Call Magazine covers 10,000 selected homes in North East Coventry. 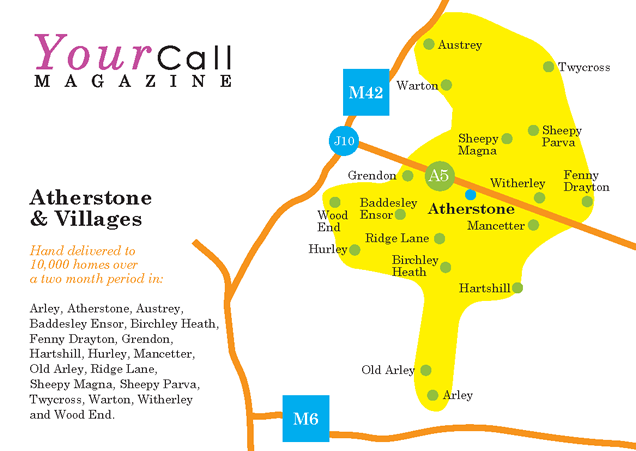 Your Call Magazine covers 10,000 selected homes in Nuneaton.